This project is constituted by two parts using augmented heality: the first is the recreation of the 3D model of the head of “Miguelón” , which will can be visualized and manipulated. 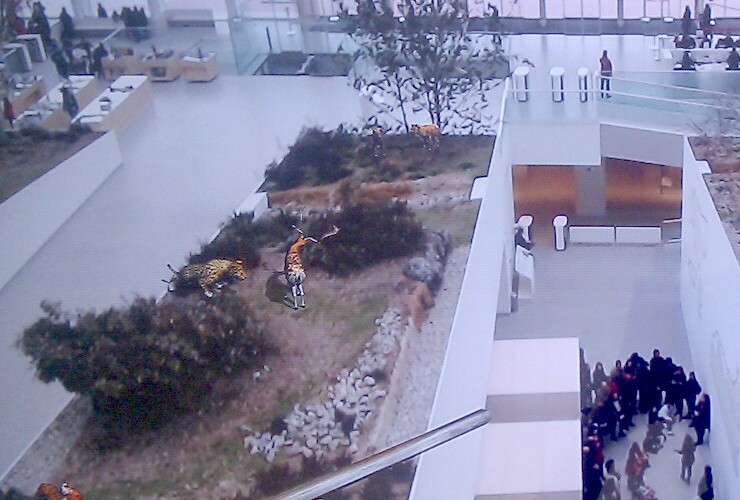 The second, allow see, trough a fixed view-port realistically introduced scenes of pre-historical hominids and animals in the museum hall. Download this AR marker and show it in front of your camera. You will see Miguelón’s head over it. If you place it at the height of your own face, you will be able to see differences in the proportion between his skull and yours. Download and print the AR marker for the Miguelón’s application. 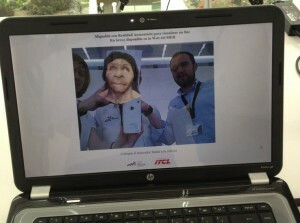 Examples how you will see your face with augmented reality. Funded by the Spanish Foundation for Science and Technology – Ministry of Science and Innovation.